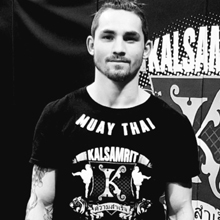 Dylan Stainthorpe is a instructor at the Kalsamrit Gym for both kid's and adults. Dylan has been training in boxing and thai boxing since 2009, with many accomplishments along the way. Muay Thai, Thai Boxing, Kids Marital Arts, MMA (Mixed Martial Arts), Boxing, Brazilian Jiu Jitsu, Judo, Wrestling, Ladies Kickboxing, Strength and Conditioning and more. Servicing Durham Region & Clarington including Bowmanville, Newcastle, Courtice, Oshawa, Whitby, Ajax, Brooklin, Port Perry, Scugog, Orono, Darlington, Clarke, Uxbridge, Blackstock and other surrounding areas.